Berlinale film explores white supremacist's struggle to reform - SABC News - Breaking news, special reports, world, business, sport coverage of all South African current events. Africa's news leader. British actor Jamie Bell plays the role of Byron Winder in the film, Skin. A notorious white supremacist undergoes painful laser surgery to remove the right-wing tattoos covering his face and desperately tries to escape the movement that has become his substitute family in a movie at the Berlin Film Festival. Inspired by a true story, “Skin” explores the life of Bryon, a skinhead who is taken in by fervent white supremacists after a troubled childhood. He attends a racist rally and slashes a black man’s face with a knife at a white pride demonstration, but he begins to change when he falls in love with Julie, who has quit the far-right movement, prompting Bryon to try and follow suit. “My grandfathers and mothers are Holocaust survivors and it was really important for me to show that, in this darkness, there’s one light and person who’s making the change to become a better person,” Nattiv said. The movie intersperses shots of Bryon screaming in pain as his tattoos are lasered off with scenes of his drink-fuelled racist days and his struggles to leave that life. The white supremacists kill his beloved dog, shoot at his home and scrawl “traitors” on his car. 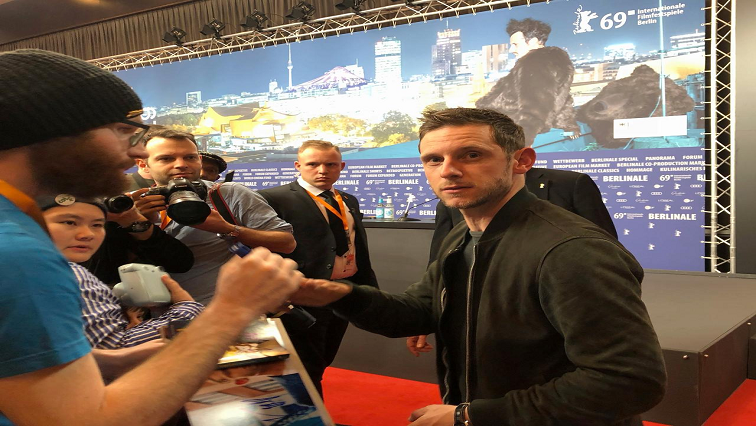 British actor Jamie Bell, who played Bryon, said the film posed a question, namely: if you have hatred in your heart but go through two years of treatment to remove the hateful ink from your skin, are you changed, and can you ever be changed fully? “Skin” is one of around 400 movies showing at this year’s Berlinale, which runs until 17 February. These 20 minutes encapsulates the great divide in Amerikkka regarding #race & #guns. This entry was posted on 12 Feb 2019,08:51PM at 8:51 PM and is filed under Lifestyle. You can follow any responses to this entry through the RSS 2.0 feed. Both comments and pings are currently closed.